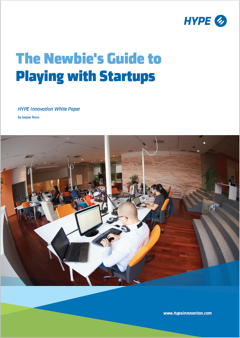 In this white paper, Jaspar Roos introduces the reader to the worlds and challenges of corporations and startups, and gives some key points how both can benefit from one another. The reader follows the story of Jim, a corporate innovation manager, who's on a quest to keep up with the latest development in the drone market. On his mission to solve this problem, he discovers the world of startups and learns about their mentality and way of work.